THE Australian Rally scene is abuzz with the surprise move by Eli Evans to join forces with Team Citroen Australia to spearhead a single car attack on the 2015 East Coast Bullbars Australian Rally Championship. Evans and long-time co-driver Glen Weston, the 2012 and 2013 Australian Rally Champions, will take over the Citroen DS3 for next year, the car which has been driven by Tony Sullens and Julia Barkley this season. The move will give Evans another chance to add a third Australian Championship to his mantle. While Evans has significant experience competing in front-wheel drive rally cars, there will be aspects of the DS3 that will be completely new to him. 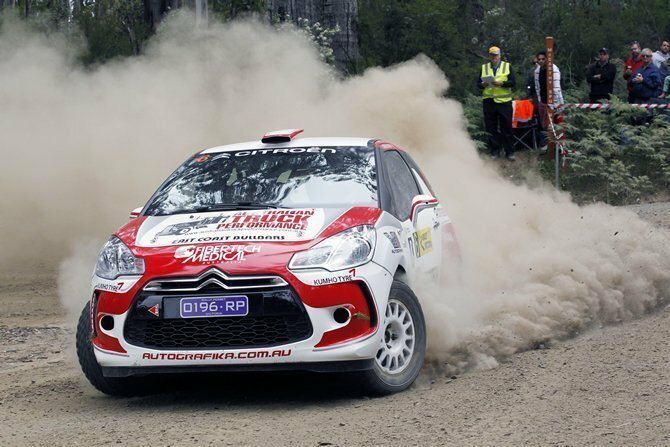 It was widely rumoured that team principal Ron Cremen had held preliminary conversations with both Evans and newly crowned Champion Scott Pedder at Coates Hire Rally Australia about joining the team in 2015. While Adrian Coppin owns the Citroen DS3 he competed in this year, and is expected to continue to drive in 2015, the move by Team Citroen Australia to install Eli Evans will see Tony Sullens out of a drive. Team Citroen Australia will continue its partnership into 2015 with the support of Citroen Australia, Citroen Racing, Fibertech Medical Australia, Tankformers, Autografika signs and Total Lubricants.